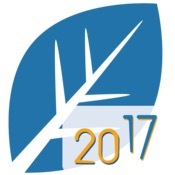 Heredis World 2017 for Mac, a cross-platform genealogy application is 50% off for three days (believe it ends Sunday, Nov. 26, 2017). Normally it’s $49.99, but right now it’s $24.99 on the Mac App Store. If you want to try it out before buying it, you can download a free demo from Heredis.com. The iOS and Android versions are free. GedGap 2.0 has been released by Seven Cookies. GedGap 2.0 is a major upgrade. 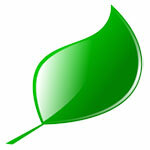 GedGap is a macOS program (requires OS X 10.10 or later) that is a genealogy research utility – it’s not a full-fledged genealogy application like Heredis, MacFamilyTree, Reunion, etc. Instead, it analyzes a GEDCOM file, and provides information on things such as sources and quality/confidence of sources (or lack thereof), problems with entries (births/deaths), as well as pointing you towards areas that need more research. 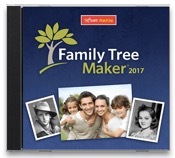 For those of you who are using Family Tree Maker 2017, “Cousin Russ”, a genealogist on YouTube, has been releasing a lot of video tutorials. While he is using the Windows version of FTM 2017, the information he presents is relevant for Mac users. If you have upgraded or purchased FTM 2017, it’s a good series of videos to get familiar with it. For all of his FTM videos, see his YouTube channel. 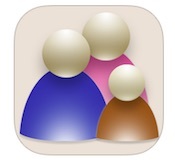 Reunion 11.0.12 has been released. It’s a macOS/OS X native genealogy application (requiring OS X 10.6 or later), and 11.0.12 includes mainly bug fixes, including one pertaining to those genealogists using macOS High Sierra. There is a new feature – you can drag URLs from either Firefox or Chrome to create a new source record. If you would like to try Reunion for free (demo mode), or just download Reunion 11.0.12, please visit Leister Productions, Inc.
Gramps 4.2.6 for Mac has been released, and it’s a very hefty update. Gramps is a free and community-driven project, normally available for Linux and other Unix-like systems, but there is a port for macOS/OS X that is eventually released (4.2.6 was released for other OSes a month or two ago). GRAMPS stands for Genealogical Research and Analysis Management Programming System, and it’s a very mature (and popular) genealogy program.